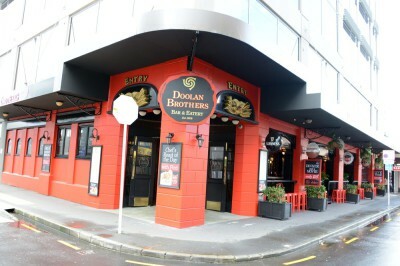 Doolan Brothers Newmarket hosts Open Mic Comedy every Monday (apart from the first Monday of the month). This is held in a room at the back of the bar which keeps it apart from those in the bar drinking and chatting etc but is open to all to come and listen and enjoy the free show. 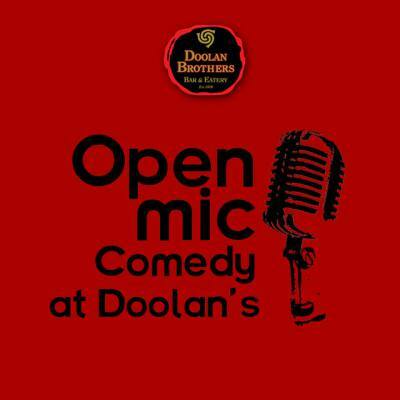 There is a guest Host/MC each week with a mixture of pros and semi pros trying out new material and rookies trying their hand at comedy. It is a nice room with reasonable priced drinks and bar snacks. There can be some hilarious banter between comics which is sometimes funnier than their jokes. There is also a semi regular Pro Show in the main bar with top Pro comics.